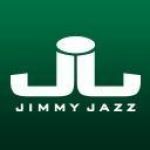 Details: Womens Summer Clearance Event with Savings Up To 75% Off only at JimmyJazz.com!! Details: 20% off for first order New sign up to get 20% coupon at Romwe.com. Details: 20% OFF EVERY PURCHASE. Expiration Date Unknown.